What did Google do and should I be worried? 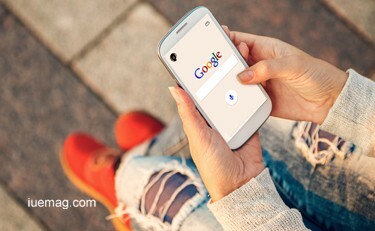 Starting today, Google will be using its new algorithm for ranking websites – an algorithm that will lower the rank of your site if it doesn’t turn out to be ‘mobile-friendly’. “As more people use mobile devices to access the internet, our algorithms have to adapt to these usage patterns”, says Google. Starting today, Google will be expanding their use of mobile-friendliness as a ranking signal. This change will affect mobile searches in all languages. So, if you suddenly see your website to be getting lesser visits through the largest search engine in the world, you might have just been hit by the Mobilegeddon! However, this update will not affect results from desktop searches. If that makes you feel better, here’s something more you should know – Just over half of all searches done on Google are now performed through mobile devices. How do I find out if my website is mobile-friendly? If you think your website might be mobile-friendly, but you aren’t really sure, here’s what you do - Just try the Mobile-Friendly Test by Google developers. The answer is a big “No”. According to TechCrunch, 44% of the Fortune 500 companies failed the mobile friendly test. While a lot of businesses seem to be resisting this change, stating that relevancy might be lost, some are saying Google is actually helping businesses reach their end users faster and in a more appealing way. Imagine a situation where you a potential customer lands on your desktop site from his mobile. The text is so small to read, the images are not optimized, the page takes ages to load and so on. Would he be happy? Is it time to make the shift? If you have finally taken the decision to please the powerful search engine, fortunately, Google is helping businesses ease the transition. You can get started here to make your website mobile-friendly yourself or to get help from developers. You could choose the following ways to make the shift – “Responsive Website Design”, “Dynamic Serving of Content” or “Dynamic URLs depending on screen size”. Also be careful and avoid common mistakes. What’s your opinion on this change? Do you think Google is showing the way or forcing the way? Do you think the Fortune 500 companies will change their websites now? Would you? Any facts, figures or references stated here are made by the author & don't reflect the endorsement of iU at all times unless otherwise drafted by official staff at iU. This article was first published here on 21st April 2015. Chief Developer at iU and Operations Head at Pluwis Web Solutions.